When we decided to meet with St. Boniface we wanted a nice house beer that encompassed the essence of Tellus360: welcoming, Irish, and easy to drink! This Full bodied Irish Red Ale is made with local Lancaster ingredients and features a malty body with vanilla, toasted toffee, and roasted grain notes. The dark copper color is reminiscent of crisp leaves in the fall and sure to please any beer lover’s palate. 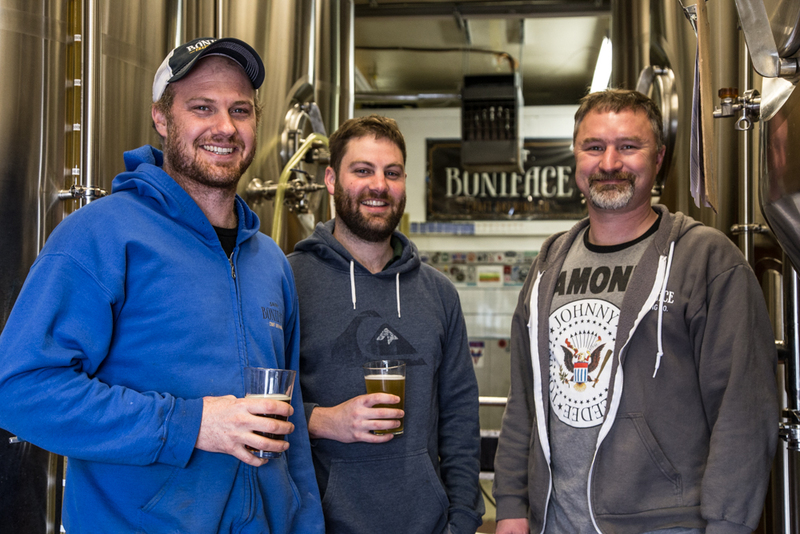 Check out our friends over at St. Boniface here! From the perspective of a musician with over five decades on stage world wide Tellus360 gets a huge thumbs up as a premier venue! They are considerate of their performers providing sound, an engineer and stage support. They include a proper meal of fresh top notch authentic Irish cousine free from trans-fats making it “clean food”. To give my “all” to a show I do not eat prior to performing. Having a munch post show is vastly appreciated. I also perform private events at Tellus360. Their rooms are well thought out meeting any event need. I can not say enough great things about Tellus360! I just love these guys! Cheers and Definitely include Tellus360 in your plans for a great experience every time! I have never been known to “put the drink away” and as I am always on my own to and from shows, I failed to mention their amazing selection of ales! Rock on Tellus360… We all love you!